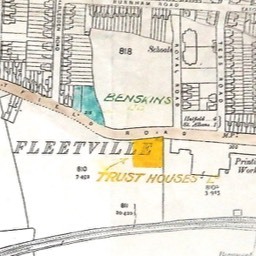 Fleetville wasn't even part of the city, although that was due to change in 1913. 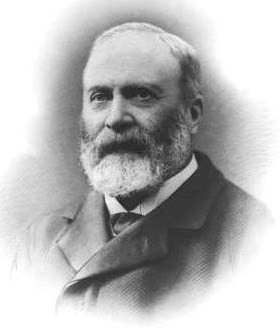 Mr Charles Woollam, already a benefactor to St Albans Grammar School, purchased from Thomas Smith's Fleetville estate what was left of a field on the north side of Hatfield Road, Fleetville. His intention was to present the field to the City Council explicitly for the recreational use of the people of Fleetville. That was very generous of you Mr Woollam; thank you. 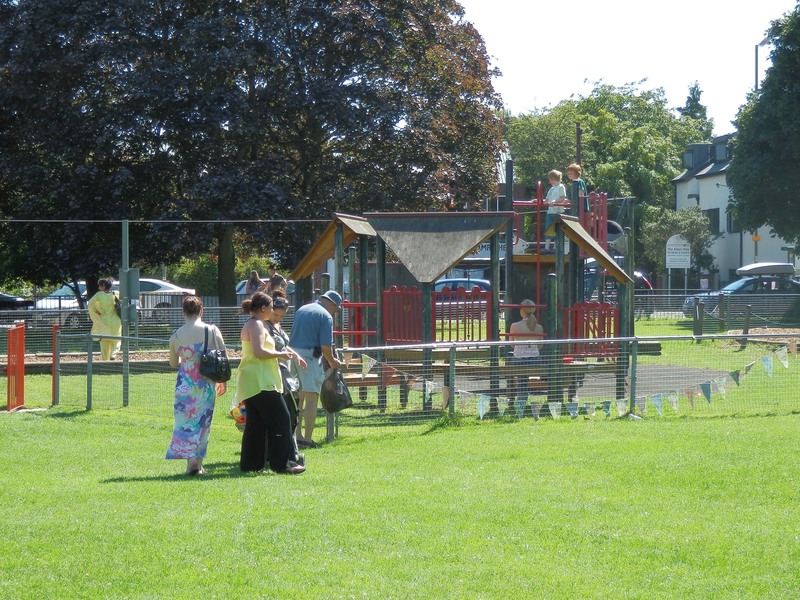 From one set of swings for most of its life, to a full playpark and zip-wire, children are now well catered for. Charles Woollam was a silk mill owner in Abbey Mill Lane. He had been Mayor of St Albans in 1872, a magistrate, and a governor of St Albans Grammar School. 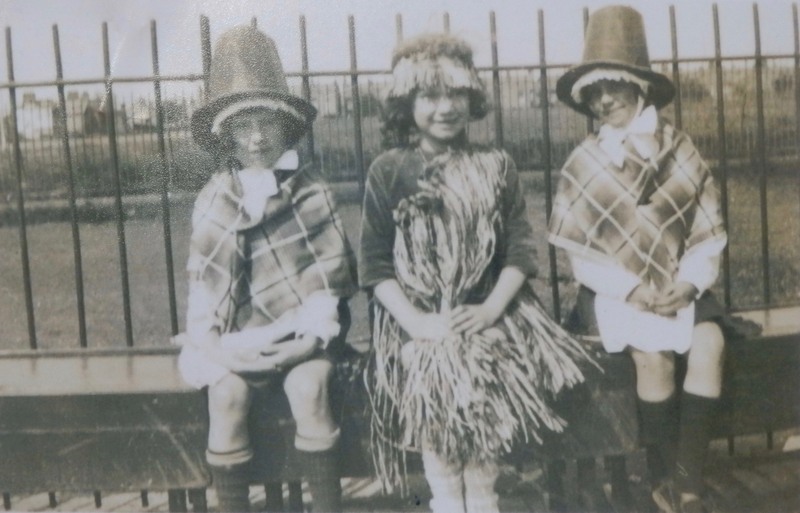 He not only provided funds for the school but also gave Victoria Playing Fields, Fleetville Recreation Ground and Woollam Fields for the enjoyment of the people. Photo courtesy St Albans Museums. 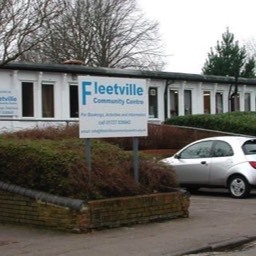 The Fleetville Recreation Ground – Rec, or Fleetville Park as it has come to be known among many younger residents – has been in existence since 1913. It was a gift to the people of Fleetville by silk mill owner, Charles Woollam. 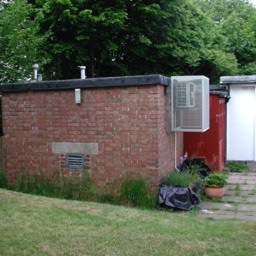 Previously it had been a space for storing bricks and other building materials, and before that it might have been a continuation of Fleet Ville, the housing development for Mr Smith's printing works employees. But others were building nearby too; new homes opposite the Cemetery and more new homes on the Camp estate. Just too many at the same time for the demand. 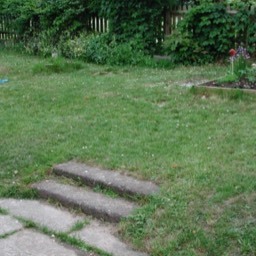 No sooner had the field been smartened up than there was a demand for allotments during the First World War. 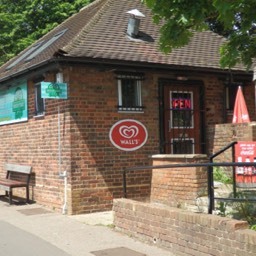 Realising that the cost of restoration after the war would fall in the lap of the City Council, it cunningly proposed that the County Council use land it owned on the south side of Hatfield Road for allotments instead; which is what happened, where today's Fleetville Junior School is located. 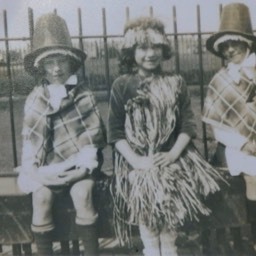 Although the City Council created a shrub screen against Hatfield Road, and installed metal railings around the field's perimeter, equipping the Rec for the children of Fleetville was limited to one set of swings. In 1938, as war approached for the second time, open trenches (shelter trenches) were dug by the City Council at the Burnham Road end and close to Royal Road. 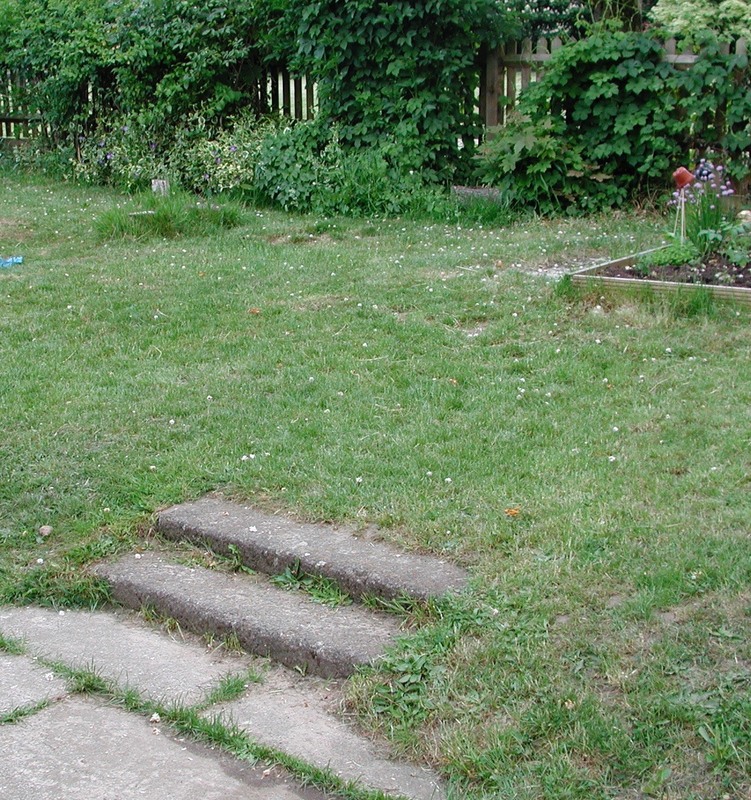 In 1939 the trenches were deepened, brick lined and capped over. 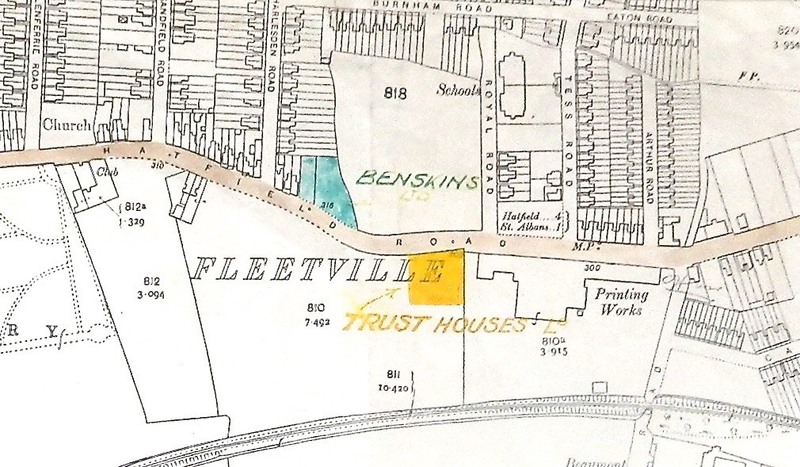 Then the County Council created trenches for the benefit of the children at Fleetville School. Access from Royal Road was down a pair of ramps, today covered over and part of the Community Centre's car park. 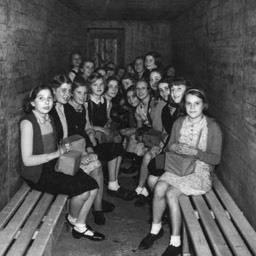 By 1942 Ballito Hosiery Mills, on the site which Morrison's owns today, was humming with women making shell casings for the war effort. The government had been encouraging as many women as possible into war work. 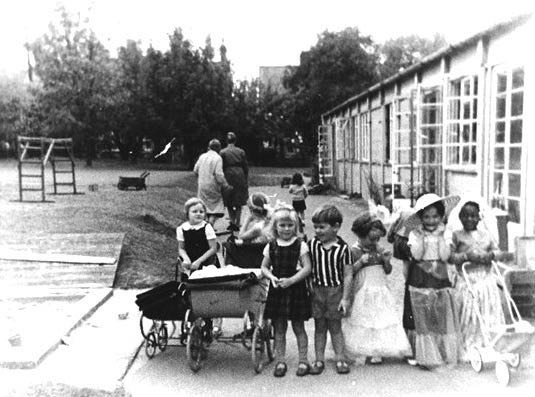 To assist, it contracted factories to produce sectional buildings for a range of purposes, including day nurseries for the young children of mothers working in nearby factories. 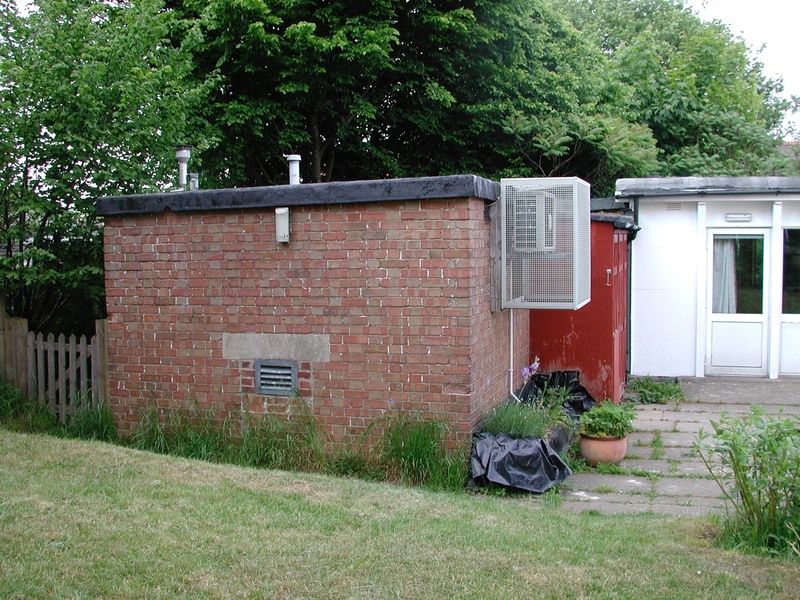 Thus a nursery building arrived on lorries from Hoddesdon and was perched on the concrete platform which formed the shelter capping. The building was basic and was heated by coal stoves at each end. 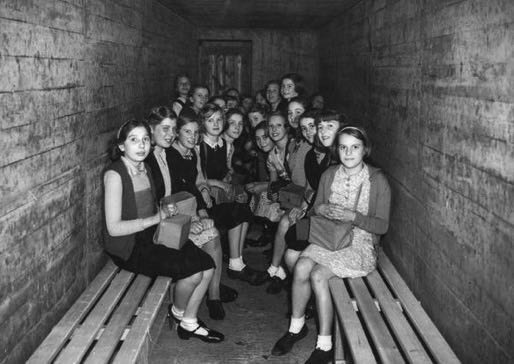 Next to each of the classrooms was a surface air raid shelter – it would have taken too long for the toddlers to be taken down to the underground shelters. Those surface shelters are still in place at the end of the building. 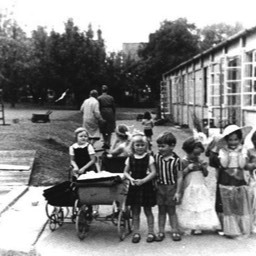 The nursery continued for some time after the end of the war although the number of registered children reduced considerably. 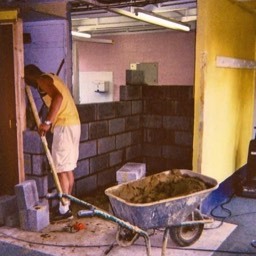 The City Council frequently urged the County Council to remove the building so that that part of the field could be returned to recreational use. 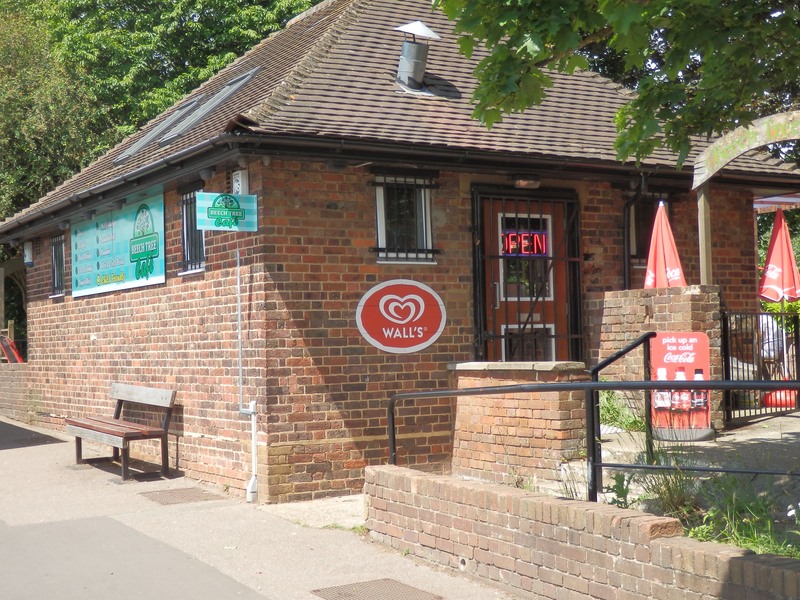 Nevertheless, with re-organisation a nursery class was maintained in the building, together with classes from an over-crowded Fleetville Primary School. 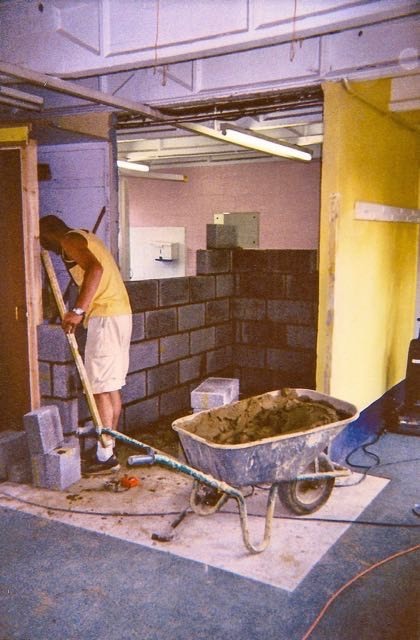 This temporary building was simply too important to the county. 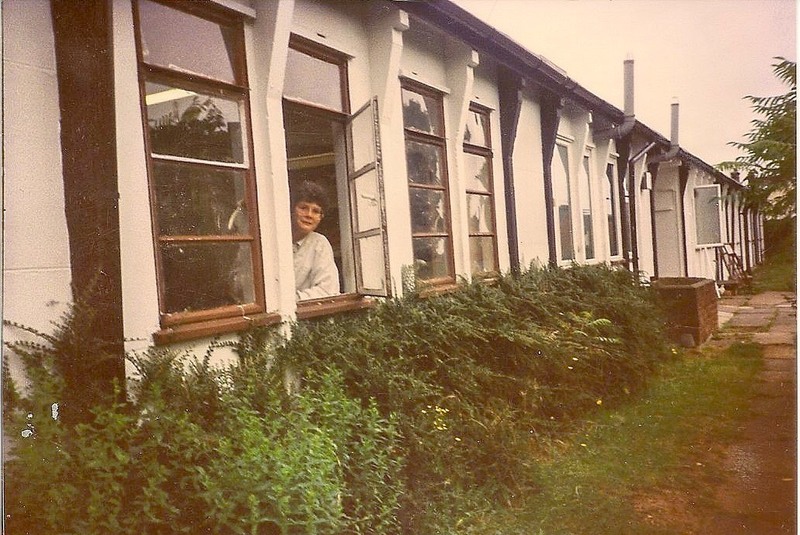 In the 1970s a new nursery was opened in Woodstock Road, and by 1975 the nursery building was empty and quickly deteriorated in condition. 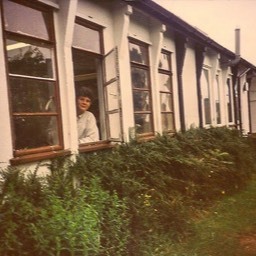 The City Council took charge and in 1979 offered the building for community use. 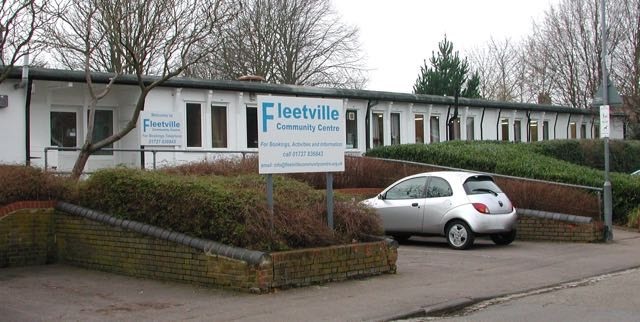 Through the diligent work of volunteers, some inventive fund-raising, and contributions from residents and traders, Fleetville Community Centre opened in 1982. 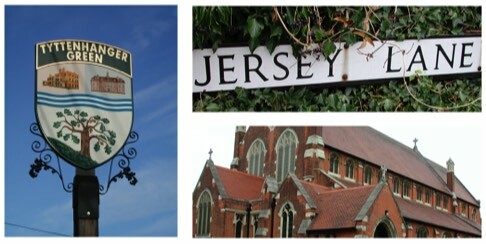 This asset has continued to fill the converted spaces with a wide range of activities ever since. "I have given this field to be used as a pleasure ground for the enjoyment of the people of Fleetville".